We’re loving the smell of lanolin in the mornings. I suspect some of the riders don’t even know what they’re smelling, but it’s such a reassuring thing, as you travel past sheep in a paddock, and I am sure it will be an abiding memory when we look back. We spent the night as you know at the Franz Josef Glacier. There was an uneasy détente between our riders and the large mob of international backpackers at the Monsoon Bar (“it rains, we pour”) where we dined. They were drinking the cheap stuff, whilst we spoiled ourselves on the Stoneleigh Pinot Noir that POK had recommended, and one of our number tried to introduce a few riders to a local drink called “Jumping Goat”. It turned out to be a New Zealand version of an expresso martini, which seemed singularly inappropriate for people who need to get up early and pedal a long way, but nearly everyone resisted his siren call. The détente with the backpackers would have ended at about 6.00am. 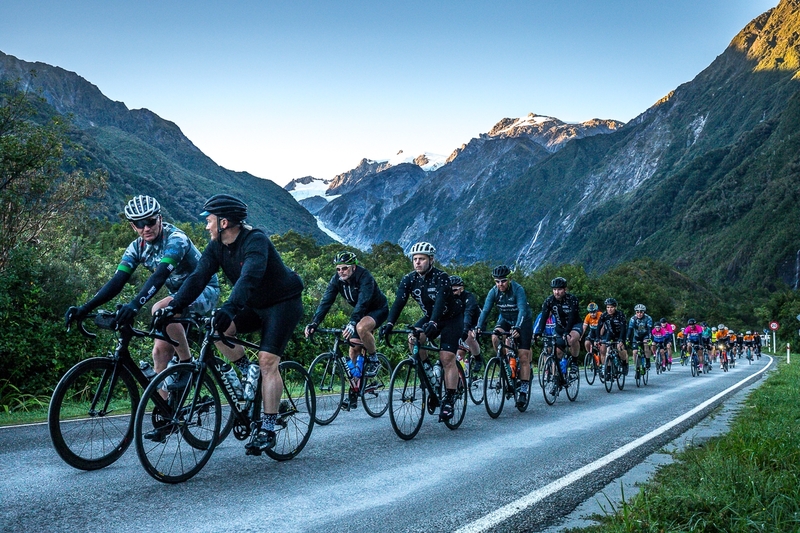 By that time, they had slept about 3 hours, when the place erupted with the hubbub of 57 riders attending to their morning routines, preparing their bikes, analysing each other’s sleeping patterns, and negotiating breakfast. Probably won’t see the backpackers again anyway. We are writing from a truly remote place called Haast. Its 166 kms from Franz Josef, if you travel south along the west coast, and it has a population of only 300. It is sometimes visited by trout fisherman and deer hunters but otherwise it’s a very underpopulated farm area. It was named after a famous Prussian geologist called Julius Von Haast, and it seems to be a little on the dour, Germanic, and stern side. When we arrived, Paul Davis made very clear that no-one was to walk around in their undies because, whilst we are staying across two venues, both Hotels had made a special point of saying that was frowned upon (after an “incident” some years ago). Pauly took off for the other hotel, and asked one of the bloggers to enforce the edict, but 20 minutes later, there were already fellas lying around the lawn like marine iguana with their shirts off, so it hadn’t started well. Anyway, here we are in Haast. As luck would have it, there is also a party of 50 elderly people staying here, on a bible tour of the South Island and we get to share the dining area with them tonight. What could possibly go wrong? But back to the start. We rode out at 7.30am, as we do most mornings, to make sure its light and safe. 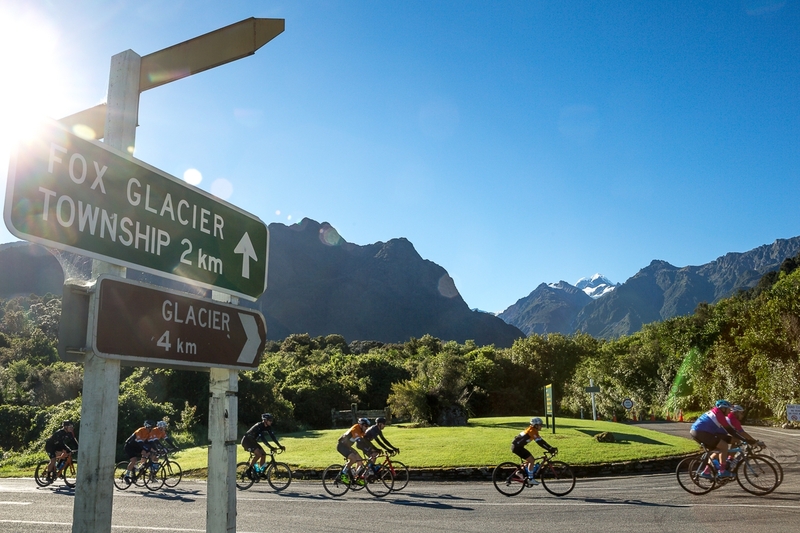 We rode up to the glacier, across a rickety old bridge, and it was kind of counter-intuitive moving towards snow when you are only dressed in lycra. Tim Chadd said it would be good for us and it was very beautiful to see the white peak above, and the fast-flowing creek below. There was, obscurely a street sign that said that drones weren’t allowed, which was kind of unsettling because you would have sworn the street sign was erected in the 1950’s, and you wonder how they anticipated technology. But there were heaps of sight-seeing helicopters flying around, looking tiny against the huge mountains, and no doubt the sign was there to make sure there were no mid-air collisions. We climbed three peaks almost immediately, which were not much bigger than Mt Coot-tha (the metric for a Brisbane rider) but still stung stiff legs. Then we came out at a place called Fox Glacier, which was a tourist town that looked a little like Port Douglas (if it was by the snow), and was certainly a hive of activity – mostly involving helicopters. 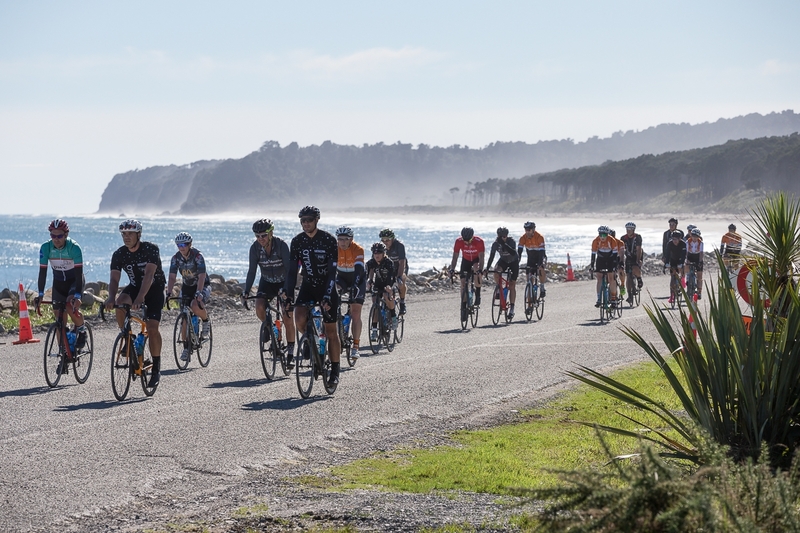 The peloton moved briskly then through a place called Karangarua and then along a beautiful coastline. There was quite a lot of roadworks as we went, and the gravel was particularly challenging on the bikes, so there is some chance that riders won’t be able to recite the delights of places we passed through at speed like Bruce Bay. Still, we are constantly improving as a unit. There was some serious talk yesterday about riders not staying in a single column, but moving out on the right shoulder of the next rider, presumably to get a better view. A couple of blokes suggested we’d all be better off if Jamie Charman (who must be about 6 foot 7) was moved up to the very front, where he could act as a sail but Adam Gill killed the suggestion with the memorable words, “Steady on fellas, even freaks have feelings”. We seem to have ironed out that issue today and the peloton is moving swiftly and smoothly. We had lunch at a place called Lake Paringa, which was just enormous and reminded the bloggers of a show called Ozarks on Netflix, except with the money-launderers and drug runners swapped out for a couple of salty old Kiwis trolling for salmon. The meal was fantastic, lots of pasta and chicken, muffins and sandwiches. Presumably, there’s someone beavering away in a cottage to make all this happen, and it really gives you a lift when you have 100 kilometres behind you, and another 60 ahead. We kept riding south of course after lunch. There was a free play section through 30 kilometres of hills, and like the whole day, it was truly beautiful. We ride past forests of pre-historic trees, and then by rolling pastures, climb up roads lined with flowers, cross bridges over stony streams, and then roar down hills that veer just before they reach the Tasman. We’ve had dinner since the blog began, and we played well with the bible people. Well, actually, it was Limitless’ turn to present and the Hotel had wisely organised a separate room for us. They gave easily the best presentation of the week, with the highlights being a talk by Steve Morris about the work of Ronald McDonald House, an investigative piece by Nick Barr on how he came to be awarded the glasses/nose-piece by his old team mates, a faux Current Affair episode by Tracey Grimshaw on the “cult” that is Chain Reaction, and a soliloquy by Michael Tritton on his struggle with being a “slow descender”. The jerseys were awarded as follows: yellow to Peter O’Keefe, black to Mark Russo, white to Todd Moraitis, blue to Andrew Boorer, green to James Morton, polka dot to Andrew Coronis, and red to Damien Atkinson. There is a time trial first thing in the morning. The six teams will compete over five kms. You need to get four riders over the line in the fastest time to win. But there was an additional rule. Each team could bid to knock out the rider of another team, but that team could buy the rider back. Pauly Wilson conducted an auction, to see who would bid and, in the end, it raised another $50,000.00 for the charities in about 30 minutes. 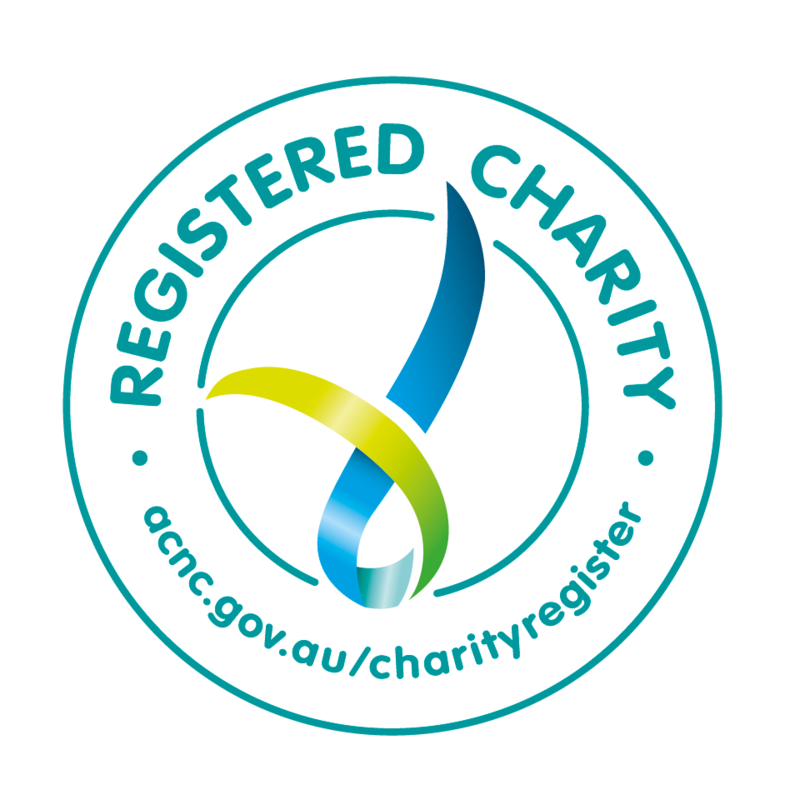 We reckon that brings the total of money raised to just on $1.4 Million, which is very exciting, especially because we’ve now heard from two riders – James Morton from AEIOU and Steve Morris from Ronald McDonald House - about the work the money will do. Tomorrow’s a big day. We climbed 1670 metres today and got in at about 3.30pm but we’ll climb 2034 tomorrow on our way to Wanaka, and 2373 the following day on the way into Queenstown. Which is seriously intimidating, mixed with the excitement about finishing the ride and seeing our families.